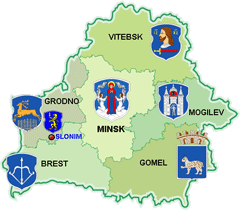 In a picturesque corner of the Belarusian land on the abounding in water river Shchara, there where the river Issa flows into it, the beautiful ancient town of Slonim (for the first time it is mentioned in Ipatevsky annals in 1252) is located. 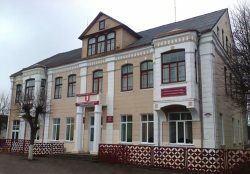 In the town of Slonim there is the Educational Institution «Slonim State Medical College» (further – EI «SSMC») which functions since the 7th of April 2009 and is the successor of Slonim School of Nurses (1940-1954), Slonim Medical School (1954-2001) and Education Institution «Slonim State Medical School» (2001-2009). College is the State educational institution of a national educational system of the Republic of Belarus which carries out a basic education up to standard of a secondary specialized education of a medical type and also an additional education, which includes the improvement of professional skill of the personnel with the secondary education by the type “Health”. College is the juridical person accredited, licensed and attested in order established by the legislative acts of the Republic of Belarus. College mission is to prepare the highly skilled competitive specialists with the secondary specialized education of a medical type taking into account the modern achievements of the medicine and the education the labour market requirements, the personal and social development of the students. College carries out a full-time tuition at the expense of the budget means and on a contractual basis on the terms of payment. The studies are begun on the first of September. An academic year consists of two semesters. A duration of a vacation is 2 weeks in winter and 8 weeks in summer. College works on five-day working week ( from Monday – to Friday). These studies are conducted in one session from 08.00 o’clock. An educational process is carried out in the Russian and the Belarusian languages. The results of an educational activity of the students are estimated in accordance with the ten-mark system. 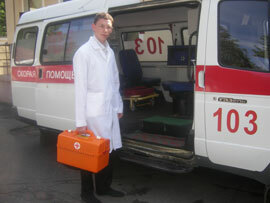 At present in college at the department for a training of the personnel with the secondary specialized education of a medical type the training is carried out in the two specialties. The training cost on a contractual basis on the terms of a payment is not less than 1300 US dollars. 1 years and 10 months. On the basis of college there is the department of the improvement of professional skill of the personnel with the secondary specialized education by a type “Health”.